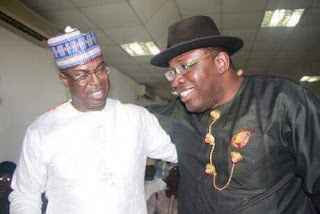 The election is underway in Southern Ijaw to conclude the governorship election held on December 5, 2015, but was declared inconclusive by INEC. The PDP candidate and incumbent governor, Seriake Dickson, was leading with over 30,000 votes in the seven out of the eight local governments of the state released before the postponement. In a statement Friday, the Acting National Chairman of the PDP, Uche Secondus, said that from intelligence report gathered by party, Saturday’s election is a mere formality because, the APC, using federal might, has already written the results ahead of the election. “Southern Ijaw is the home local government of former governor of the state, Chief DSP Alamiseighga and a known Ijaw leader. The state is politically divided into Nembe, Ogbia and Southern Ijaw, that is the home LGA of Ijaws where the governor, Siarake Dickson is from. “Intelligence report at our disposal shows that the election is just a mere formality as results have been written with INEC standing as the main culprit,” he said. The PDP Chairman said the Secretary to the Government of Federation, SGF, as well as the Minister of Defence and the Inspector General of Police “have directed INEC to write the results in favour of APC”. He called on the international community to be aware of the plot warning that this has the consequences of hurting Nigeria’s nascent democracy. Mr. Secondus said Nigerians and the global community should hold the APC responsible should any thing happen to democracy in the country because of the APC’s quest to turn Nigeria into a one-party state. He further warned that it was this quest of winning at all cost that was responsible for the collapse of the Second Republic.